Enjoy the comfort of our hospitality as we endeavor to make your stay with us a memorable “home away from home” experience. Explore the rich heritage of Myanmar. Holiday Hotel is close to Kandawgyi Lake and Park with Aung San memorable statue, and we are only a 10-minute walk to the Amazing Shwe Dagon Pagoda. Choose from our attractive Standard Rooms or Deluxe Rooms, or our spacious Junior & Family Suites. All rooms are elegantly furnished & feature European, white down comforters & plush top bedding. Many rooms provide panoramic views of the Gateway Arch and the waterfront. Free wifi is standard for all rooms, as is complimentary coffee & tea. 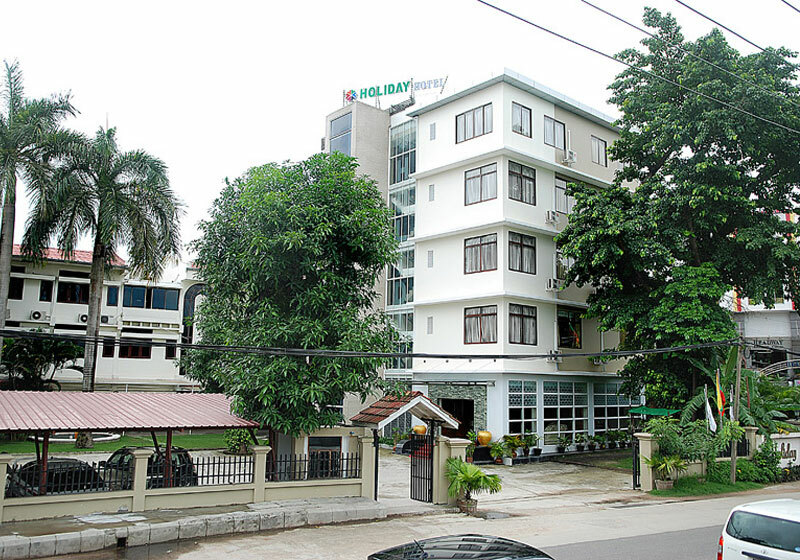 Holiday Hotel has many facilities for business travelers as well as holiday makers – from a fully equipped Business Center operating daily, to a fun Karaoke Room for friends & families to sing-along. Or enjoy relaxing Foot Massages for tired legs at the end of the day. The hotel also has a spacious parking area, so transportation to anywhere in Myanmar is never a problem. Short Description: Explore the rich heritage of Myanmar. Holiday Hotel is close to Kandawgyi Lake and Park with Aung San memorable statue, and we are only a 10-minute walk to the Amazing Shwe Dagon Pagoda.